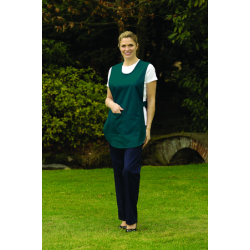 Great value for money, tabards, bibs and aprons from System Hygiene are popular among cleaners and nurses. Designed with a pocket and stud adjustable side tabs, these tabards are available in 10 different colours depending on your preference. Ideal for protecting your clothing and providing somewhere to keep belongings while you work, they are perfect for use in the medical industry such as hospitals and care homes. 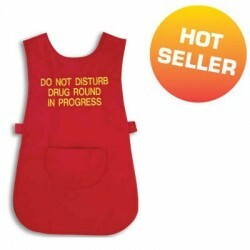 Available to buy here in different sizes to suit all requirements, they are great quality and offer a practical solution for people across a range of industries.